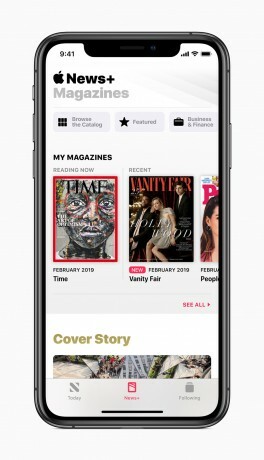 Apple's News app for iOS now offers a $10/month paid subscription option called News+, which includes full access to the Wall Street Journal, LA Times, over 300 magazines, and the premium sections of several major web sites such as TechCrunch. Separate subscriptions to all of these publications would cost over $8,000/year. New content is downloaded automatically. Neither Apple nor advertisers can see what you choose to read. Apple is offering the first month free. News+ is available today in the US via an update to iOS. A similar offering is also launching today in Canada, and coming soon to Australia and Europe, starting with the UK. Apple today said it has agreed to acquire Texture, a digital magazine subscription service, for an undisclosed sum. According to Apple, Texture powers the digital experience of some 200 magazines on mobile devices. Google today refreshed its Google News product with new features powered by artificial intelligence. News will scan everything on the web and match what it finds with user preferences and favored sources to create new summaries and suggestions.